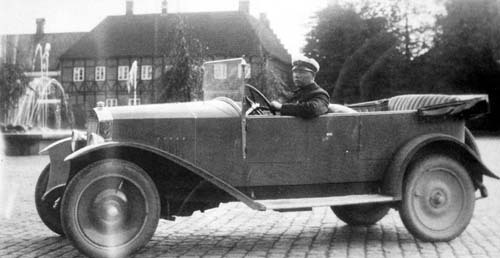 Volvo ÖV 4 is the first car built by Volvo. The designation ÖV4 stands for , “Öppen Vagn 4 cylindrar” in Swedish, which means Open Carriage 4 cylinders. The model ÖV4 was often referred to as “Jakob” but that was just a name for one of the 10 pre-series ÖV4 that was ready on July 25 Jakob’s name-day. 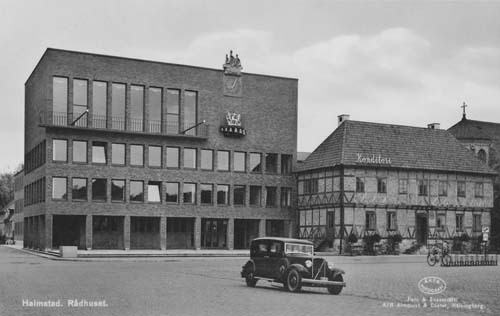 All 10 prototypes were assembled in Stockholm at the company AB Galco, Hälsingegatan 41 where Gustav Larson worked at that time. Only one of the 10 pre-series cars manufactured during 1926 was saved for posterity and is housed in Volvo Museum, in Gothenburg, Sweden. 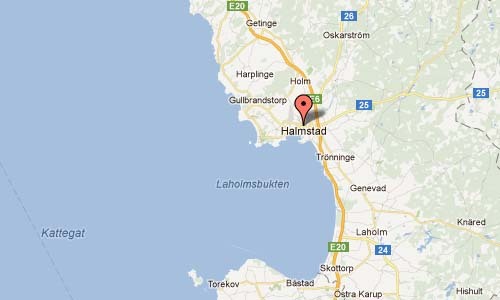 Stora torget is the main square and the heart of Halmstad. 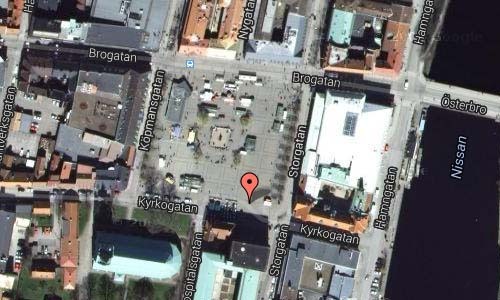 Here is S:t Nikolai kyrka from the 1300s, after the fire of 1619 the only preserved medieval building. 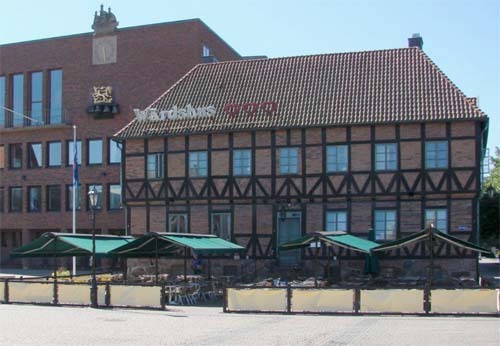 In the old half-timbered house from the 1700s, which was once the hospital is now the restaurant – nightclub Wärdshuset Tre Hjärtan (Three Hearts), the name taken from the arms of the city. The square is decorated by Carl Milles celebrated fountain Europe and the Bull. But the square is also a lively center with market trade and taxi stand, surrounded by shops and restaurants. 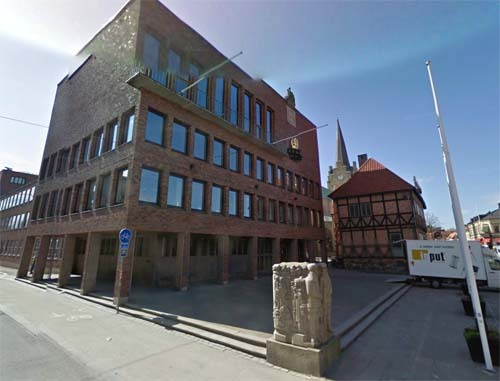 Halmstad’s rådhuset or city hall is located on the south side of Stora Torg in Halmstad and was designed by the architects Yngve Ahlbom and Nils Sterner and inaugurated on September 18th 1938. The expansion in the south, towards the castle, designed by Carl Nyrén and was completed in 1982.